Detectives investigating a stabbing in Enfield have made an arrest. A 21-year-old woman [D] was arrested on suspicion of assisting an offender and perverting the course of justice on Thursday, 7 March. She has since been bailed to a date in mid April. Police continue to appeal for witnesses and information after a man was stabbed in Enfield, leaving him in a life-threatening condition. 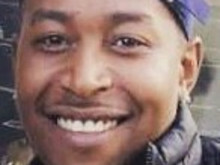 Dominic Alexander aged 25, from Enfield remains in a critical condition in hospital with stab wounds. He was found with stab injuries and treated at the scene by paramedics before being taken to hospital. Three men - [A - 24yrs; B - 26yrs; C - 27yrs] - were arrested at the scene on suspicion of attempted murder and taken to a north London police station. They have been bailed to a date in late March. An incident room has opened at the Homicide and Major Crime Command under Detective Chief Inspector John Massey. At this early stage it is thought the victim was attacked as a result of a dispute near to the Sporting Green Public House at Central Parade, Enfield. Officers retain an open mind about the motive for the attack. DCI Massey said: "We would also appeal for anyone who saw anything take place shortly after half past midnight on Monday night into Tuesday morning at or near to Central Parade, or saw any arguments earlier in the evening inside the Sporting Green pub, to come forward as soon as possible. "This was a horrific attack on a young man who has been left with very serious injuries and is fighting for his life in hospital. If you know anything please contact us." Anyone with information is asked to call the incident room on 020 8721 4868, contact police via 101 or @MetCC or Crimestoppers anonymously on 0800 555 111. Bearing down on violent crime on the streets of London continues to be a top priority for the Met. The police, our partners and the public must continue to work together to deal with knife crime and prevent further young lives being lost. Communities have an absolutely vital role to play in tackling violent crime. We need to hear from anyone who has information that could either detect or prevent crime. Your information could save a life. If you have information and you aren’t comfortable talking to the police you can contact the independent charity Crimestoppers. They do not ask your name and they cannot trace your call (or I.P address). Young people can visit their youth website “Fearless” for advice and to pass on information anonymously.